Head Pose, Yaw Angle Estimation, Frontal Face Detector, 3D Head Rotation, Ellipsoid. head yaw angle can be estimated by determining the angle at which the 3D head must be rotated to be frontal. two well-known databases : FacePix and Pointing04. upright position and generate out-of-plane rotations. ship among the 3D points and their projections on 2D. tracked based on optical ﬂow in sequential images. tial frames and cannot be applied to single images. Mennesson, J., Dahmane, A., Danisman, T. and Bilasco, I. Head Yaw Estimation using Frontal Face Detector. detections obtained from different scales of the VJ detector for speciﬁed degree of rotation. such as in-the-wild unconstrained settings. 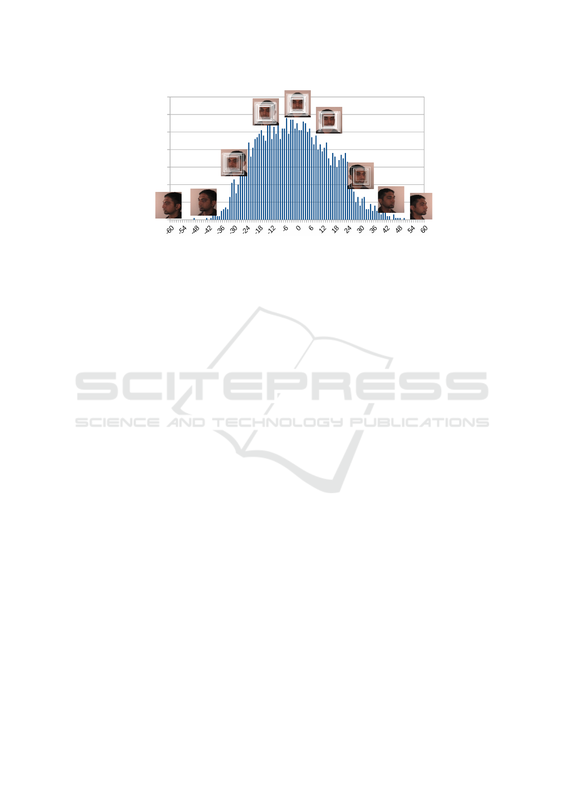 frontal faces decreases to zero with a Gaussian decay. to candidate yaw angles to the Viola-Jones detector. derlying frontal Viola-Jones face detector. detections obtained from different scales of the VJ detector for speciﬁed degree of rotation of the ellipsoid. on ellipsoid, face detection and head yaw estimation. be found in (Murphy-Chutorian and Trivedi, 2009). 2011) use convex regularized sparse regression. grating manifold embedding and clustering. this detector is able to detect frontal faces in images. assumption, our method is highlighted in Figure 3. Figure 3: Overview of our method. tain the mean of the detection angles. fore the projection on the ellipsoid. In this paper, we assumed that the face is centered. 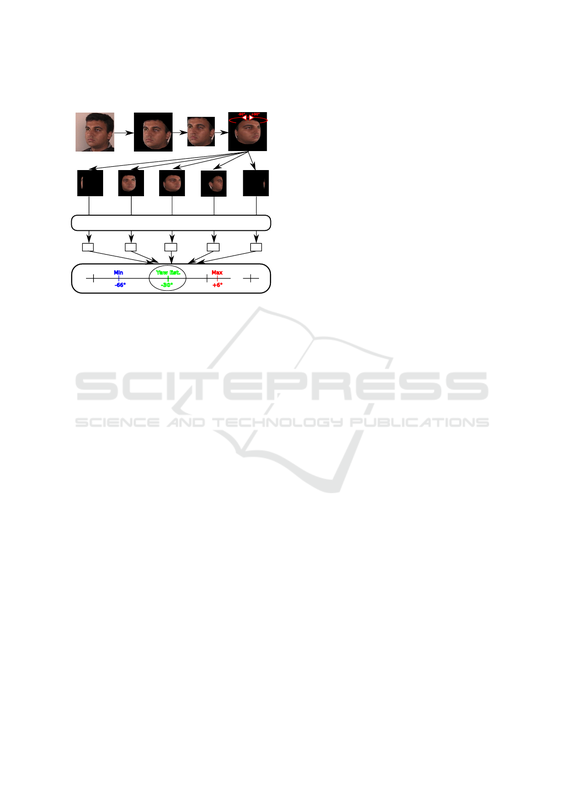 based Cascade Classiﬁers to detect faces, is used. tions, the minimum neighbours parameter is set to 1.
are represented by binary images where white (resp. 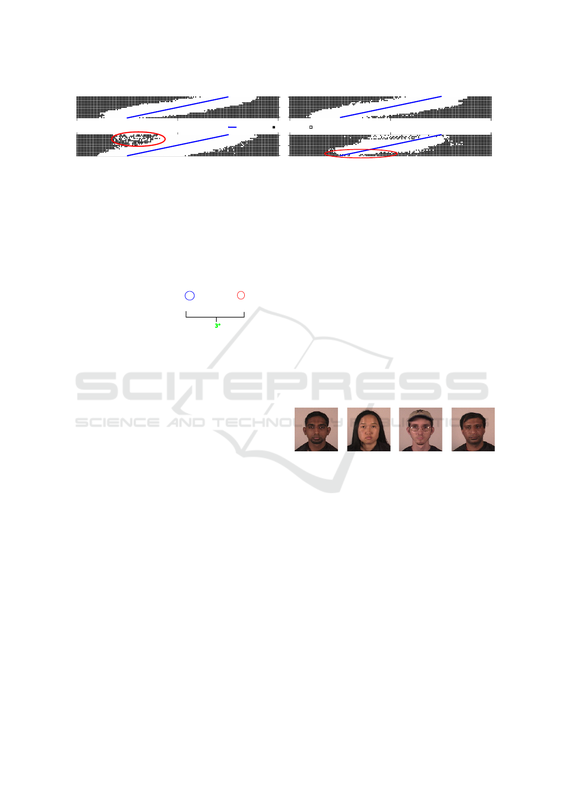 Figure 4: Detection results on FacePix dataset. White pixel: detection, black pixel: non detection, blue line: ground-truth. maximum angles at which the frontal face is detected. timate head yaw angle as in Figure 5.
false negative detections (see Figure 4 - Clip21). eye glasses, long hair and skin color on the results. gle which vary across a range from +90° to −90°. and just concern illumination variations. Figure 6: Several images from facePix dataset. considered due to the face detector used. 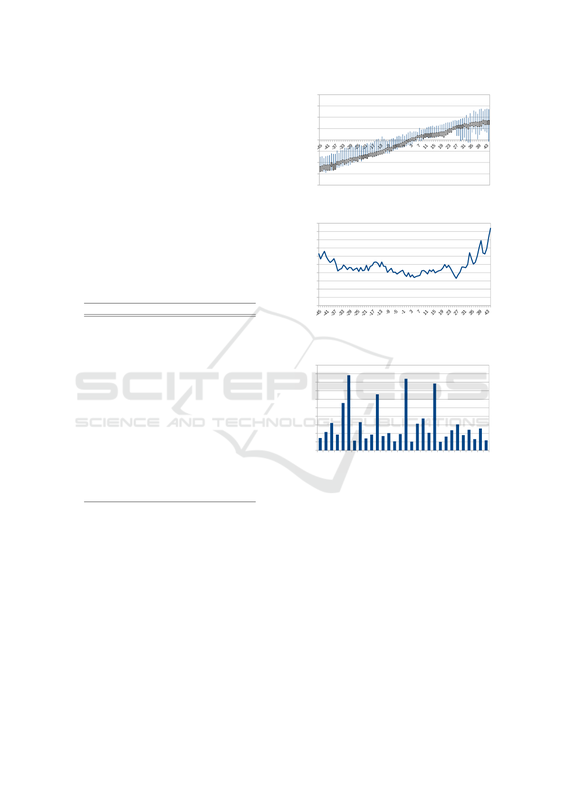 HYE2 method gives the best result on this database. Table 1: FacePix : Comparison with the state of the art. yaw angles with regard to the groundtruth is shown. is turned to -45° or 45°. 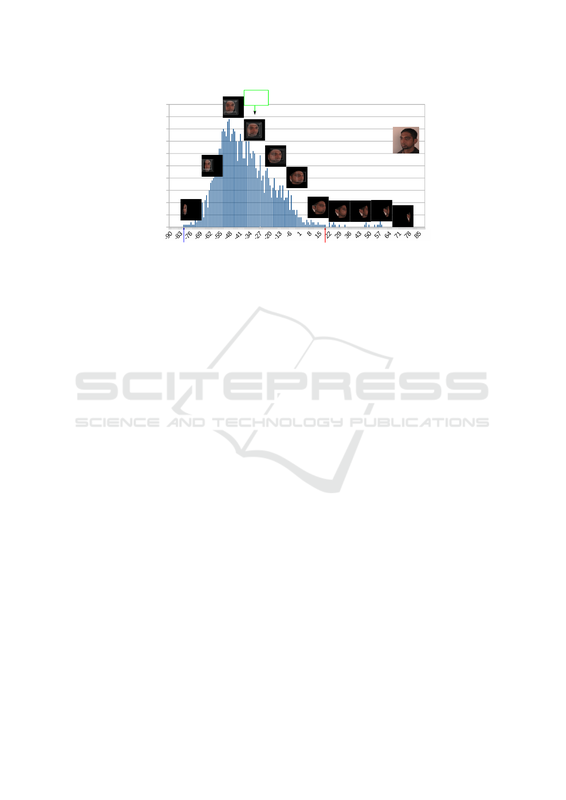 Figure 7: FacePix : boxplot of head yaw angle estimation. tion MAE for ground-truth yaw angles. her eyes, which prevent neat face detection. tal step of the rotation of the face (i.e. step-factor). on MAE, MRSE and STD. −15°, 0°, 15°, 30°, 45°. HYE1 is more robust to that problem. Table 2: Pointing04 : Comparison with the state of the art. other things, to their hair which cover their ears. Aissaoui, A., Martinet, J., and Djeraba, C. (2014). Auguste, R. (2014). Racv library can be downloaded from. Balasubramanian, V., Ye, J., and Panchanathan, S. (2007). 2007. 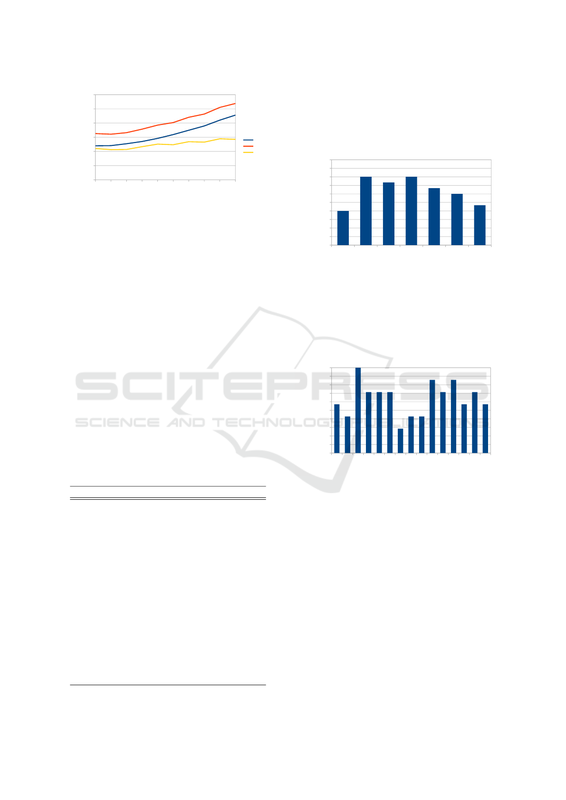 IEEE Conference on, pages 1–7. Internet Multimedia Systems II, Boston. Dahmane, A., Larabi, S., Bilasco, I. M., and Djeraba, C.
metry Analysis. Signal, Image and Video Processing. Gourier, N., Maisonnasse, J., Hall, D., and Crowley, J.
gression. 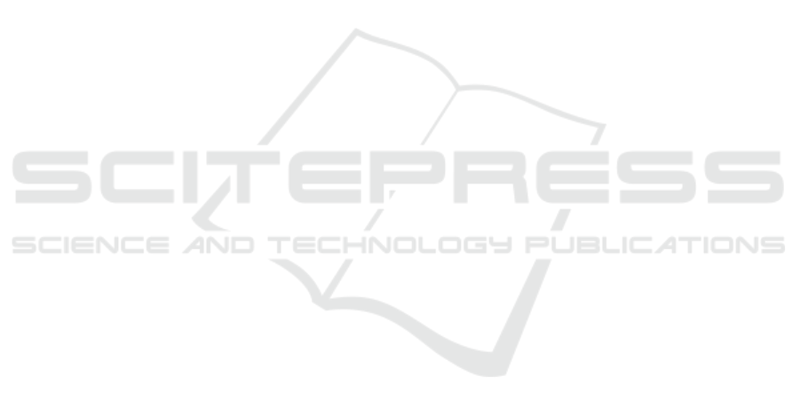 In ICIP, 2011, pages 3617–3620. International Conference on, pages 1–6. graph cuts. ACM Trans. Graph., 23(3):309–314. LNCS, pages 281–290. Springer Berlin Heidelberg.